Inspired by the architecture we know and love, these necklaces are a way to remember and keep close landmarks we love. Dimensions: Pendant: 3" diameter; Chain: 24"
My daughter-in-law loved this necklace. Definitely worth the price. I love my Chrysler building necklace, so unique and very well made, not thin or flimsy get lots of compliments on it. Perfect gift for a NYer! 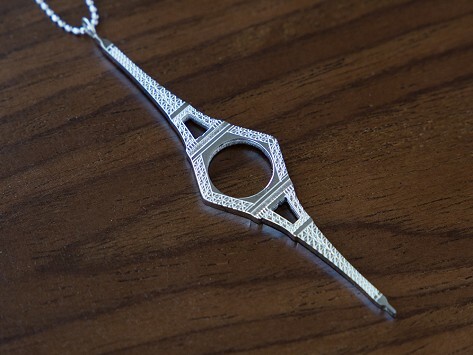 Gave the Chrysler building reflect necklace to a dear friend, a native NYC gal. She loved it! Pretty, lightweight necklace and perfect for someone with a London connection. I was very very pleased.